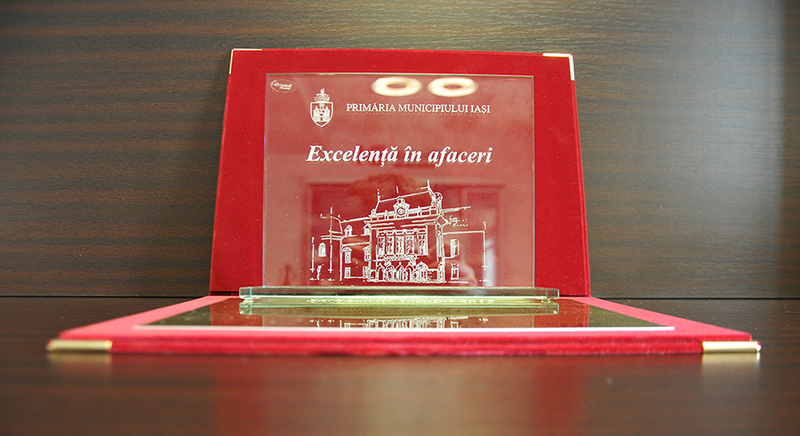 Within the 2015 Excellence Gala organized by the City Hall of Iasi in partnership with the Metropolitan of Moldavia and Bucovina on October 14th, our company received an award for business excellence alongside two other companies from Iasi. The prize has been awarded in view of our company’s 60th anniversary. Accordingly, 60 years have passed since 1955 when we started manufacturing penicillin for the first time in Romania and south-east Europe, a drug that has helped save millions of lives in the country and around the world. Over time Antibiotice has developed continuously. Since its establishment, the company’s evolution has beautifully blended with the modernization of the healthcare system in Romania, in such a way that nowadays we are the leading Romanian pharmaceutical producer and exporter to 73 countries worldwide. In recognition for its contribution to the local community, as well as in view of promoting the outstanding results of Iasi entrepreneurs in the world, Antibiotice received an award for Business Excellence, joining other noteworthy organizations from the social, cultural and artistic areas.